In the US, the FDA (Food and Drug Administration) is the one responsible for controls and may send warning letters or import alerts to industries that don’t comply with federal laws. Nonetheless, they have no authority when it comes to recalls and withdrawals. It’s important to note that, comparing to Europe, registering a cosmetic product is not mandatory before placing it on the US market. However, it is highly recommended to take part to the Voluntary Cosmetic Registration Program for statistical purposes. In Canada, controls are done thanks to Health Canada, under its Consumer Product Safety Program. This program involves product samplings and tests, which are carried out in collaboration with the Canada Border Services Agency (CBSA) and other national and international regulatory agencies. This collaboration prevents non-compliant products from being imported to other countries. In China, controls for cosmetic products are carried out by the National Medical Products Administration (NMPA) in association with the local FDAs. In 2018, hair dyes were responsible for 53% of the non-compliances detected by the NMPA, such as labeling, composition or microbiology non-compliances. Product recall and discontinuation is ordered and monitored by the local FDAs. Within the ASEAN (Association of Southeast Asian Nations), in 2018, the FDA (Philippines) and the Drug Administration of Vietnam published respectively 40 and 30 alerts for non-compliant product. The Health Science Authority (Singapore) recalled 21 products. A PLM (Product Lifecycle Management) software streamlines all processes and tasks of a new product development project. It provides cosmetic manufacturers and distributors a comprehensive set of key features to cut down paperwork, build reliable regulatory data sources and enhance collaboration between regulatory affairs, R&D, procurement, quality and marketing. Willing to learn more about the best practices to ensure cosmetics products regulatory compliance through your international strategy? Download our “Cosmetic compliance” white paper! 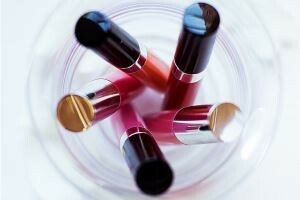 Share the post "Worldwide regulatory framework for controls and inspections on cosmetic products"